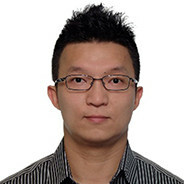 Dr. Del P. Wong is a full professor at Sport Science Research Center, Shandong Sport University. He possesses the following credentials: Chartered Scientist (Science Council, UK), Accredited Sport & Exercise Scientist (BASES, UK), CSCS*D (NSCA, USA), Certified Exercise Physiologist (ACSM, USA), Certified Health Fitness Specialist (ACSM, USA). He has published >70 research papers in SCI international journals. He is currently the associate editor of Journal of Sports Sciences: Science and Medicine in Football, and editorial board members of Research in Sports Medicine, and Biology of Sport. In 2012, he received the Terry J. Housh Outstanding Young Investigator Award from National Strength and Conditioning Association (NSCA, USA). He was the strength and conditioning coach for athletes at various competition levels including medalists of Olympic Games, World Championship, Asian Games, regional, and elite youth. In this regard, athletes from badminton, table-tennis, fencing, cycling (sprint and BMX), swimming, and soccer trained under his supervision. He was also the fitness coach for professional soccer for two seasons. Dr. Wong specializes in the development of muscular strength and power, agility, intermittent aerobic endurance, game-specific metabolic requirement, periodization, tapering, and monitoring of training load.